Most of the world is turning its back on burning coal to produce electricity [not true, incidentally—SH] but not Japan. The nation has fired up at least eight new coal power plants in the past 2 years and has plans for an additional 36 over the next decade—the biggest planned coal power expansion in any developed nation (not including China and India). And last month, the government took a key step toward locking in a national energy plan that would have coal provide 26% of Japan’s electricity in 2030 and abandons a previous goal of slashing coal’s share to 10%. Not long ago, coal was on its way out in Japan. In 2010, coal plants accounted for 25% of Japan’s electricity, but the powerful Ministry of Economy, Trade and Industry (METI) planned to reduce that share by more than half over 20 years. The ministry counted on nuclear power to pick up the slack, with its share of the nation’s electricity set to increase from 29% in 2010 to 50% by 2030. But the 2011 Fukushima nuclear accident forced a reassessment. All 54 of Japan’s reactors were shut down pending compliance with new safety standards. Just seven have restarted. Utilities have turned to liquefied natural gas and coal, which surged to provide 31% of the country’s electricity in 2014. In many other nations, natural gas has replaced coal as a fuel source because gas costs less. But in Japan, “coal is cheap,” says Takeo Kikkawa, an energy economist at Tokyo University of Science and a member of an METI advisory council on energy. That’s because the nation must import natural gas in its relatively expensive liquefied form. European Union carbon emissions increased in 2017 as French President Emmanuel Macron continues dinging the Trump administration for leaving the Paris agreement. Carbon emissions in the EU increased 1.8 percent since 2016, EU’s statistics office Eurostat said Friday. There was also a double-digit increase in Malta and Estonia, while Germany’s emission levels remain unchanged. And guess which nation’s greenhouse gas emissions continue to fall, and have fallen the most over the last decade? Yes—that would be us, the United Trumpified States of America. In fact, the U.S. has already achieved the year 2025 emission reduction targets called for in Obama’s so-called “Clean Power Plan” that Scott Pruitt has wisely canceled. This is, of course, the result of the natural gas revolution, which happened without the permission or direction of Washington DC; it happened without a signing ceremony on the White House lawn, or a diktat from the EPA. It happened because of market forces. And naturally the left hates this. Germany has spent an estimated 189 billion euros, or about $222 billion, since 2000 on renewable energy subsidies. But emissions have been stuck at roughly 2009 levels, and rose last year, as coal-fired plants fill a void left by Germany’s decision to abandon nuclear power. That has raised questions — and anger — over a program meant to make the country’s power sector greener. . . Nevertheless, as RES [renewable energy sources] increases, the expected decreasing tendency in the installed capacity of electricity generation from fossil fuels, has not been found. Regarding the ECA, an increase of 1% in the installed capacity of solar PV decreases electricity production from oil and natural gas by nearly 0.11%, and 0.20% respectively in the long-run. 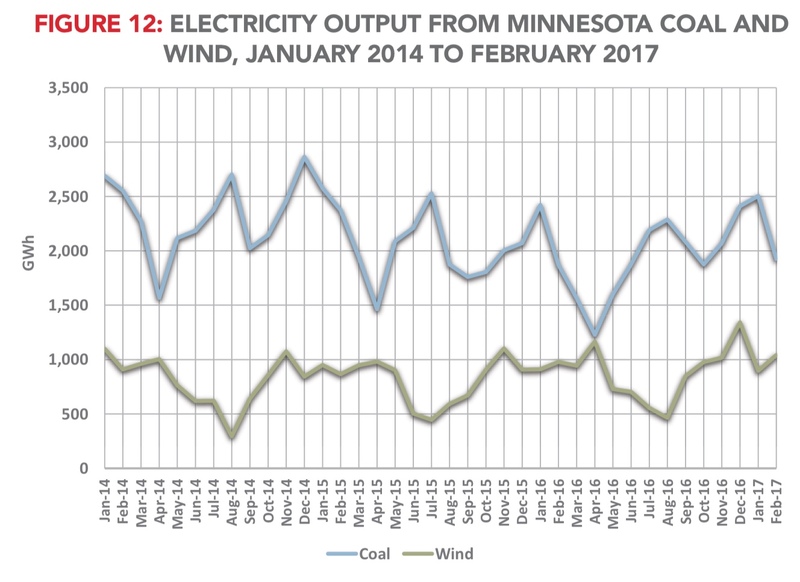 In contrast, an increase of 1% in the installed capacity of wind power provokes an increase of 0.26%, and 0.22% in electricity generation from oil and natural gas, respectively in the long-run. . . In fact, RES cannot satisfy electricity consumption without resorting to fossil fuel electricity generation.This has hindered the shift from fossil fuels to RES, and has cancelled out the advantage of the shift to electrification, because of the need to burn fossil fuels. Furthermore, it should be stressed that natural gas, hydropower and cross-border markets are flexible, and their contribution to the electricity grid has been essential to back up RES intermittency and to satisfy peaks of demand. Nice going greenies. Maybe you’ll want to rethink your fundamentalist opposition to nuclear power some day.